This is the list of the projects that have been voted during the Alliance Day as Alliance Flagship Workcamps 2017, and that will receive additional support from the network in terms of promotion and financial contribution. We congratulate with Genctur, De Amicitia, FSL India, VIN Nepal, ICJA Germany and NIG! You will receive soon some promotional material from our External Relation Committee, and we ask you to put an additional effort in the promotion of these projects, that represent innovative and high quality examples of our IVS! 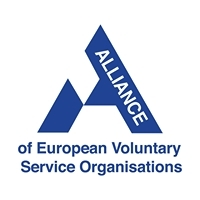 We also remind you that in order to make the Flagship Program sustainable also for the next year, we ask to the organisations sending their volunteers in these projects to give half of their sending fee to the Alliance.